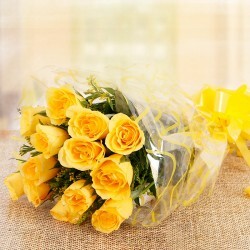 MyFlowerTree is the most popular and highly experienced florist in Indore, a very important city of Madhya Pradesh. The love season, starting from 7th February to 14th February is almost there and the people in this city are already excited for the most awaited time of year, the time of love -valentine's day. 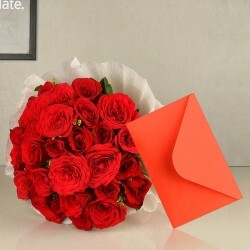 With our online store, you can easily send Valentine flowers to Indore where your love resides. 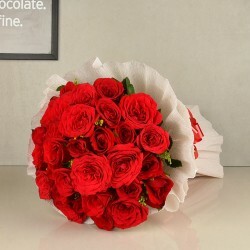 No wonder, flowers are the most expressive gift when it comes to letting your dearest one know about your feeling of unfiltered love and romance. 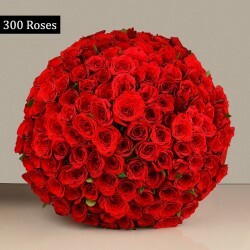 If she has been your crush for a long time, let her fall for you this Valentine’s Day by sending an arrangement of red Rose Valentine flowers online to Indore and begin the lovely chapter of life with her. Remember the earlier days when you had to travel to the local florist shops to find the most romantic Valentine day special floral arrangement for your boyfriend from the very limited options. Why should you be limited within a very few options when your love is unlimited for him? 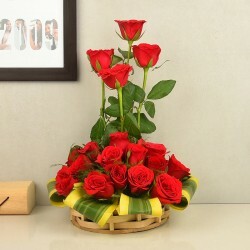 You would be amazed to see the extensive collection of exotic flower arrangements in our store and each floral gift is loaded with the optimum love for your dearest one. Right from Lilies, Gerberas, Carnations, Roses to Orchids and Tulips and many more- we have a large collection of floral arrangements for you. 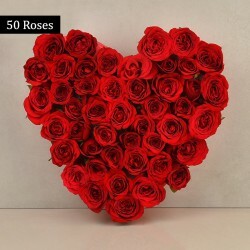 Just find the best one for your boyfriend, and send the Valentine flowers to Indore online where he puts up. In this season, love is everything and that’s the reason you need to make sure your gift is also amazing for your dearest one! Each of the floral arrangements offered in our store, come with the best quality of hand-picked garden fresh flowers that can resemble your purest feeling of love. Coming with the heart-shaped arrangement, vase arrangement or box arrangement, each floral gift is tailor-made for Valentine’s Day. 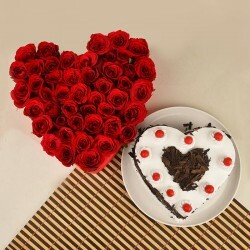 Make your V-Day hamper more heart-touching by sending flower arrangement along with the Valentine cakes to Indoor. Her love for you is pure and at the same time, it makes you feel alive all the time. This Valentine’s Day she deserves something really special that shows your love for her is unconditional too. How about sending her a love-overloaded combo of beautiful arrangement flowers, delicious heart-shaped cake and Valentine gifts to Indore? 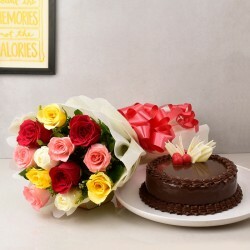 This gift combo will definitely move her with your unblemished affection and love. 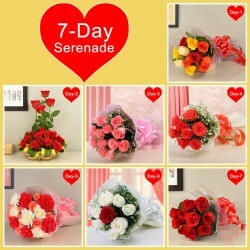 We have been delivering the best quality of flowers, cakes, gifts for more than 10 years. Apart from India, we also cater to the requirements of customers from foreign countries like UK, USA, UAE, and other countries. We offer zero cost shipping across our country. We offer top notched delivery service that features same day, midnight and express delivery service. We offer 100% secure payment process to our customers.